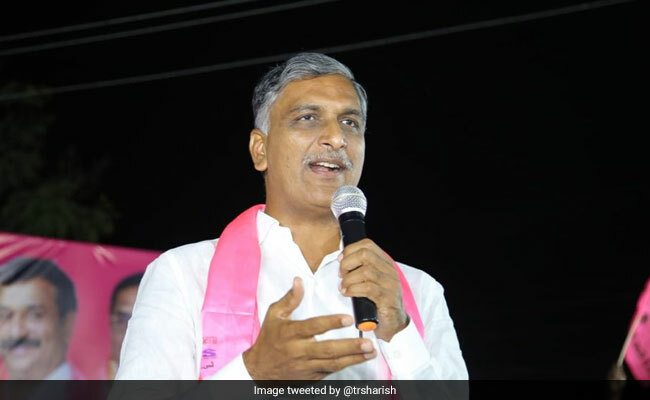 Harish Rao, who was Irrigation Minister in KCR's cabinet, defeated his nearest rival Bhavani Marikanti of Telangana Jana Samithi (TJS) with a majority of 1,20,650 votes. Mr Harish, who was Irrigation Minister in KCR's cabinet, defeated his nearest rival Bhavani Marikanti of Telangana Jana Samithi (TJS) with a majority of 1,20,650 votes. Associated with the TRS since it was floated by KCR in 2001, Mr Harish has won this seat for the sixth consecutive time. He was first elected from Siddipet in the bypolls in 2004 after the seat was vacated by KCR. Since then, Mr Harish has maintained a firm grip over the constituency in erstwhile Medak district. The 46-year-old has increased his margin of victory with every election. In 2014, he was re-elected with a majority of over 95,000 votes, one of the highest in the state.